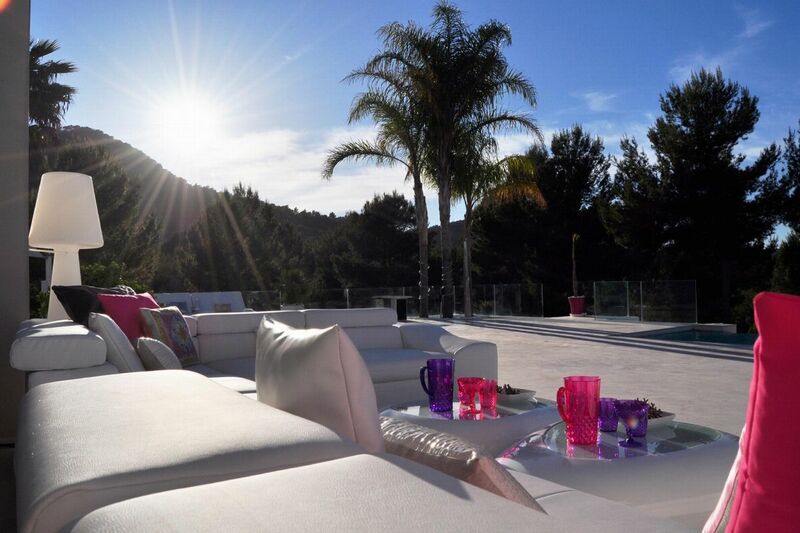 Super modern property with one hundred percent privacy and the ever sought after wow factor. 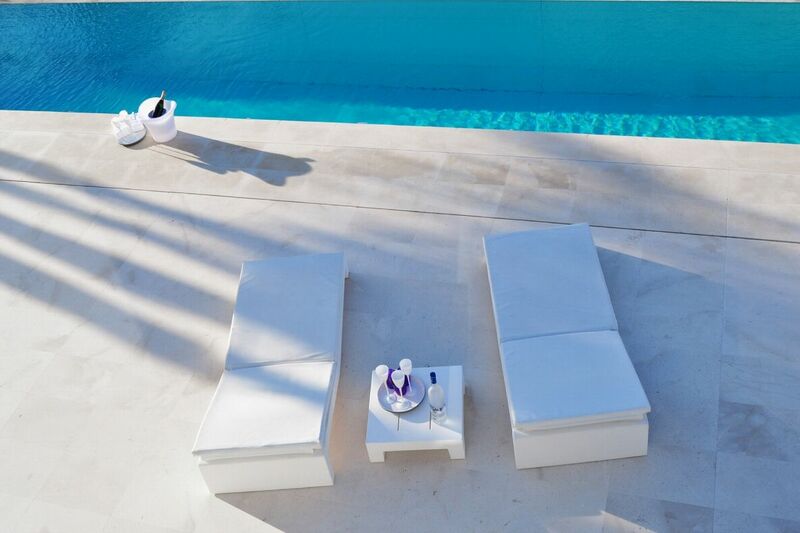 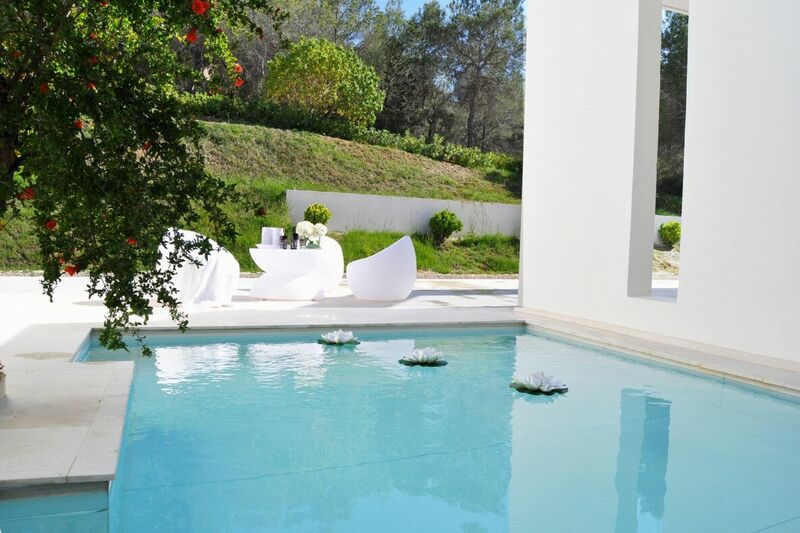 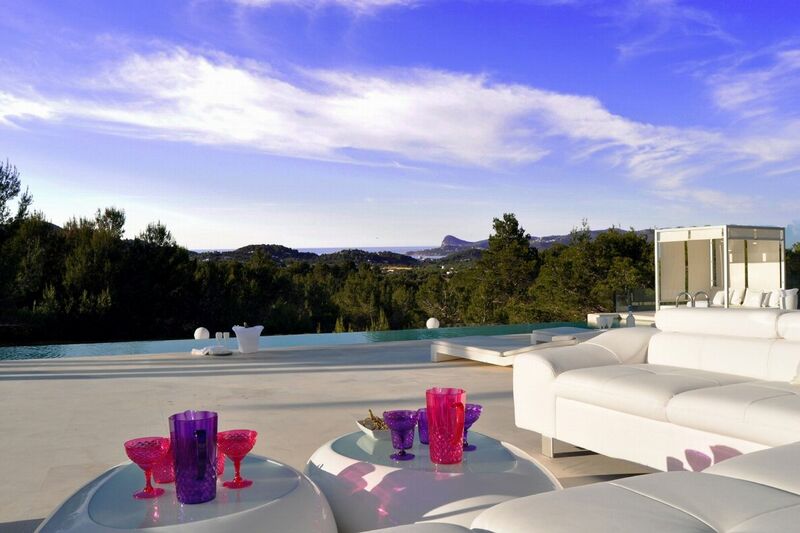 With state of the art furnishings and decor, outstanding views and privacy, this villa is one of the top villas in Ibiza. 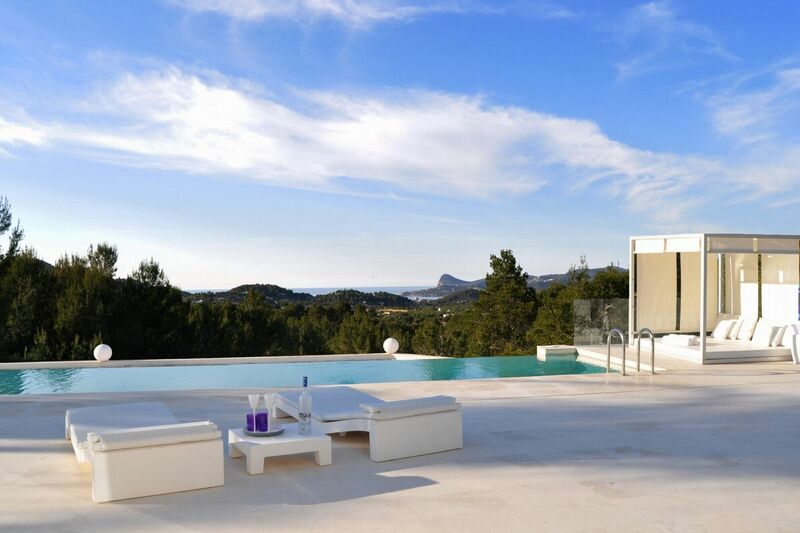 Located in the hills of San Jose offering breathtaking views of Ibiza and the surrounding bays, this property is of impressive design consisting of 3 separate 4- bedroom villas. 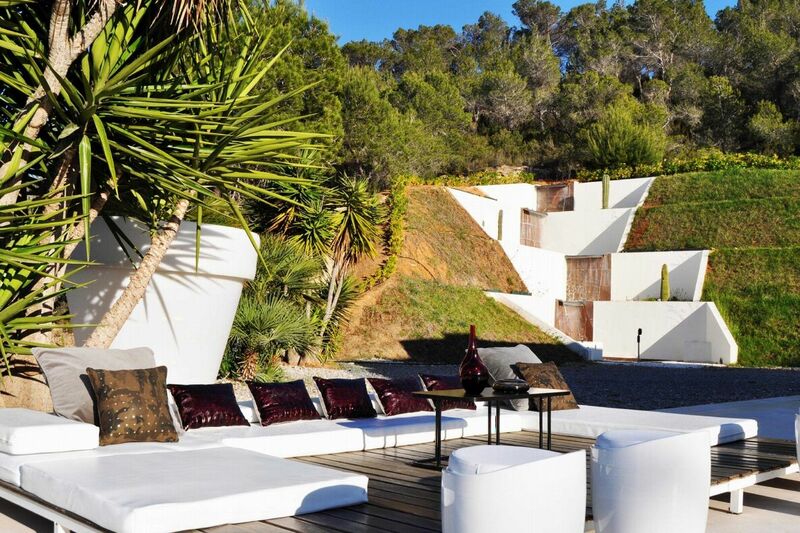 LIVING AREAS In the main house there is a beautifully designed lounge area with plenty of comfortable seating. 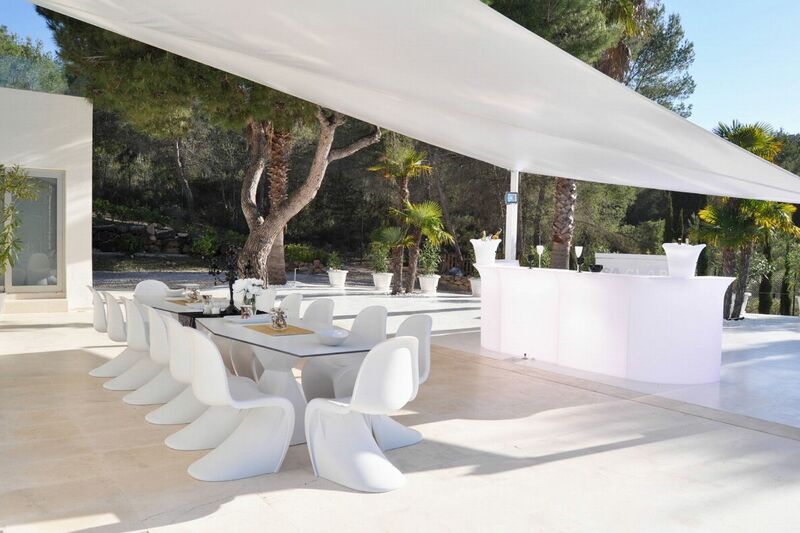 There is also a dining area both inside and out and a fully equipped modern kitchen. 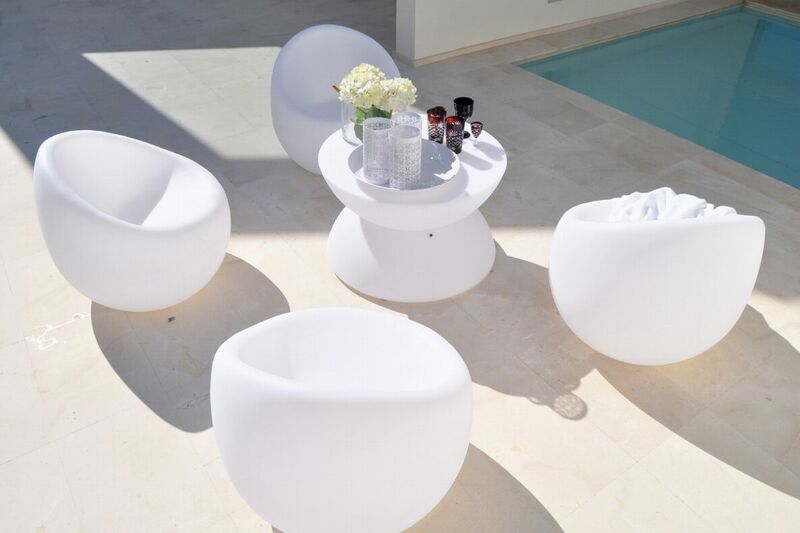 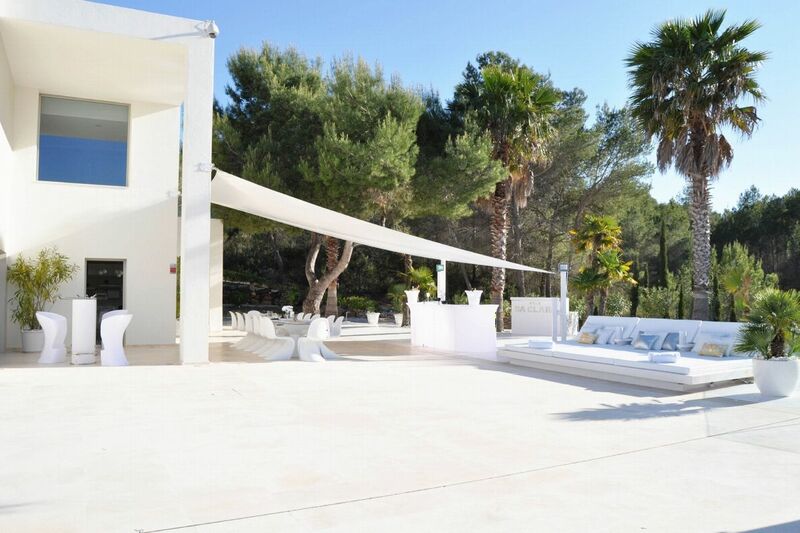 There are several chill out areas surrounding the swimming pool including an outdoor bar area. 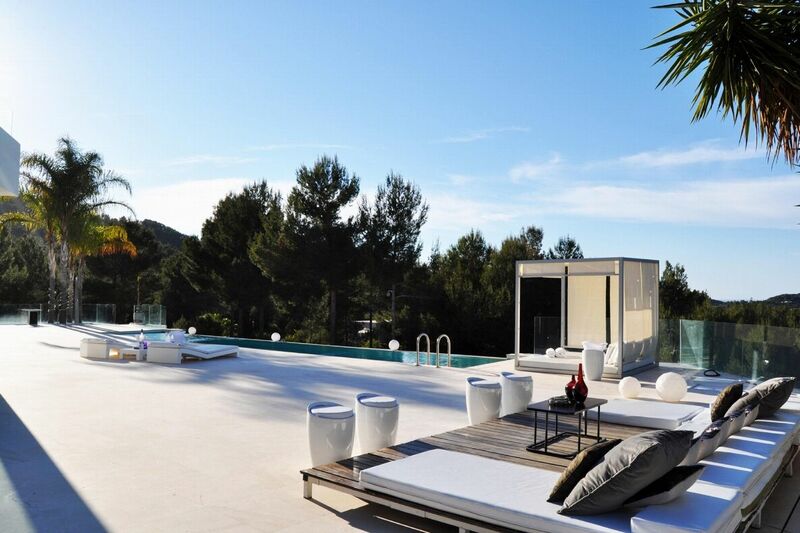 One of the guest houses has a gym and sauna.